But that isn’t as easy as it sounds. According to Michael, building a vehicle to get them there will take a few days and as we learned in last week’s episode, they only have roughly 24-hours before Michael is to destroy the neighborhood. Michael looks for an alternative mode of transportation: a gold balloon. As he tries to figure out how to get it to work, the humans enjoy frozen-yogurt for one last time. Eleanor dreams up her ideal “good place” and it involves a beach, mai tais, and a phone. Basically, her idea of total happiness proves that she doesn’t belong in the actual good place at all. But since they’ve all had the ability to progress and become better people, they don’t necessarily deserve eternal suffering either. That’s neither here nor there because their ride is here. Tahani is very impressed with it even though it doesn’t have business class but there’s a catch to it all — the balloon will only transport those who have attained self-realization. To find out if you’ll be able to board, one must on the scale, your soul will be weighed and if you are the best version of yourself, you will board. Otherwise, passage will be declined. Once again, it sounds easy enough but for a group of individuals who have literally been eight-hundred different versions of themselves and lousy human beings while on Earth, this is a tall order. Jason, Tahani, and Eleanor all get green lights but unfortunately, Chidi is served with a red. And he knows exactly why — he questions whether or not he’s actually the best version of himself. How will he ever know? Everyone de-boards because they run as a pack. After some soul-searching, Eleanor is able to convince Chidi but then she’s served with a red light. “Chidi got in my head,” she tells the group. 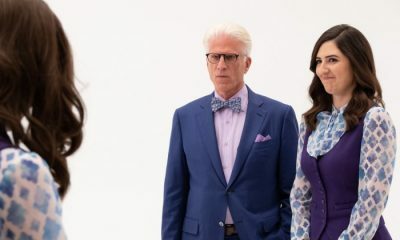 Eventually, Michaels confesses that none of this matters because he lied: he has NO IDEA how to get into the good place. If he was still simply a demon, he wouldn’t feel bad about lying but since he now encompasses human emotion, he feels guilty about lying. He thought he’d be able to buy more time to find a solution but now, he’s out of ideas. Eleanor has one that’s always worked for her on Earth — ignore their problems and drink heavily. So they do. They throw themselves a proper party, which rivals the party thrown by the demons on their last day in the neighborhood. There’s something so pure about these humans, who may have done questionable things while on Earth, celebrating their final moments together after learning so much about themselves. If you’re going to get sent to your own personal hell — mine would be filled with spiders — you better enjoy yourself before you go! In her drunk-induced state, Eleanor and team forgive Michael and make him an honorary human. Sure he lied, but he made an effort and in the end, that’s all that really matters. It’s hilarious that Michael thought all he ever wanted was to torture these humans but then secretly became friends with them. He became one of them. Maybe the whole reason he even wanted to create this “neighborhood” wasn’t to become the best but to experience human interaction, which he’s always been fascinated with. He finally reveals that there is one very futile and insane plan that they could try: talking to the judge. 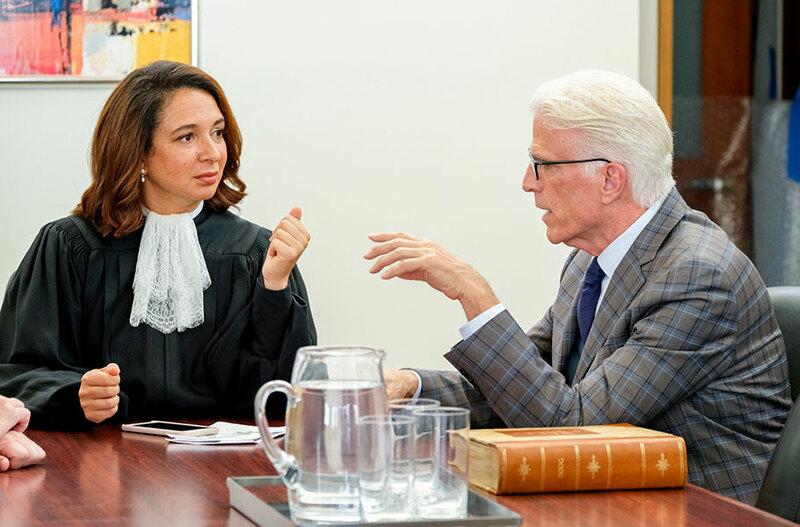 In order to get to the judge, they have to walk through the bad place without getting caught, pass through the portal and then convince the judge to hear them out, even after they didn’t go through the proper channels. With nothing left to lose, drunk Eleanor decides that they should attempt it, regardless of the outcome. So even in their death, they still do the most human thing possible — make a careless decision with absolutely no guarantee that it’ll be successful. First thing tomorrow (next week’s episode), they’re heading to the bad place! 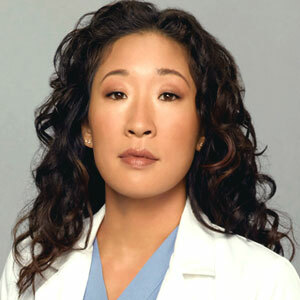 Eleanor returns to the spotlight in the season finale after a few weeks of giving the most active role to Michael. It’s a clever way to bring Eleanor back to the forefront, having Michael rendered incapable of doing his job by fear. The plot point also pulls double duty by finishing off another arc for Michael. Michael started the season hustling down to Earth to tinker with the humans. Later he tried to play the “snowplow” in their lives and incessantly tried to maintain the type of control he had in his neighborhood. Now here we are at the end of season three and he has willingly stepped into the background, ceasing control to someone more fit for the current situation. Season three (the back half especially) pushed Michael to the forefront. He was the only character capable of truly moving the plot forward, but now with the new neighborhood built and his arc seemingly complete, we return to Eleanor. I think this is a good move for the show. This year meandered a bit in places and lacked the singular focus of the past seasons. There were three distinct phases to the season, first the brain experiment, then the quest to improve other people, and finally the last ditch attempt to change the system. I definitely felt the back half of the season was stronger than the first, but I do feel the show needs to refocus itself in the upcoming fourth season, and placing Eleanor back at the forefront is a good start. As an episode, though, tonight was quieter and more reserved than previous season finales. It didn’t actually feel too much like a finale to me personally, as this is the first time we will be continuing a story from a previous season instead of starting with a fresh timeline. This isn’t a knock, not every season finale has to be explosive of course, but it does highlight a point I made last week about emotional stakes. I predicted Eleanor becoming the architect and Simone being one of the new residents, as many fans probably did. What I didn’t predict was Chidi requesting his memory be wiped. This greatly upped what I discussed last week – the emotional stakes. This makes sense on a plot level and devastates the characters on an emotional one. Michael providing Chidi and Eleanor a look at their memories – ones they don’t even still have – was touching and ironic. It felt a little bit like the show was trying to sell me on their romance, but it still provided a nice showing of Michael’s affection for them. It’s not as if I don’t buy the chemistry between the two; I do. I just don’t feel we got to see their love develop over this season. Fortunately, because of the history of the show, there is more weight to their romance than is provided just by season three, which consequentially provides the proper weight for the tragedy of Chidi losing his memories of Eleanor. It’s a heartbreaking idea. One lover forgets and the other doesn’t? Brutal. How is Eleanor going to handle this? As interested as I am to see where the experiment goes, I am much more invested in Eleanor and the rest of the gang interacting with the memory wiped Chidi. The emotional stakes provide a strong storyline moving forward. And yet I have to admit that emotional stakes are not everything, and a series does need to follow through on its plot. The plot went almost nowhere tonight, only telling us the kinds of people the Bad Place has picked for the experiment, which lead us into Chidi’s memory wipe. As I said, not every season finale has to be Earth-shattering, but I do feel like a little momentum was lost with such an introspective episode. The final scene of Eleanor and Janet played like a teaching moment, and while Janet’s response to Eleanor’s question about love is touching, I hope the show has more on its mind for the endgame. Season three felt like a bridge season. Shawn mentions chess in this episode and it’s an apt callout considering how much of this season was moving pieces into place. This will be fine with me if these moves lead to a spectacular fourth. It’ll be a long wait to find out! Disclaimer: My television flashed a flash flood warning to me during the entire sequence Eleanor introduces herself to John, so I missed all of that. I’ll rewatch tomorrow and see if the missed info affects my views on the episode! I thought John was a good start to the residents! He made me laugh and will play very well off everyone, and I hope I can see him in a conversation with Jason immediately in season four. Tahani has improved so much as a person. Her improvement highlights the tragedy of Chidi’s reset even more. We all knew Simone was coming back, right? I’m glad that wasn’t the big twist of the episode. Janet doesn’t have all the answers. But she is a friend. 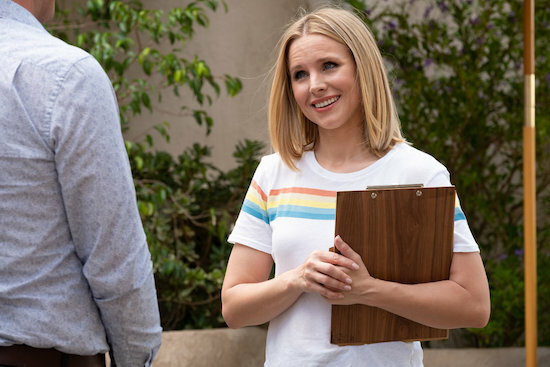 I love the score to The Good Place, but I really wish this season had mixed up the music with some new cues or stingers. A lot of shows get repetitive with their music going into a third season and it’s a small gripe I have with season three. I love this show. It was tough for me to review this episode, though, because it was mostly a large set up for what will follow, and a lot of my opinion on this one will depend on how effectively season four capitalizes on what was presented here. The emotional stakes are higher than ever, as are the physical ones with humanity hanging in the balance. Hopefully those two things combined can bring out the best in the series. 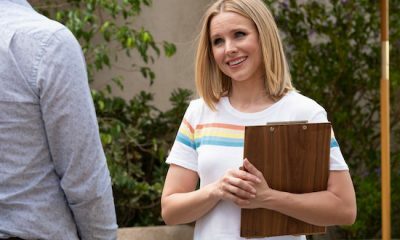 The Good Place is a show that centered around characters after they had already died. The premise immediately removed what is normally the highest of stakes in any story – death. This could have been a problem as there could have possibly been little tension to the story, but the series created dire stakes in the threat of Eleanor being found out and sent to the Bad Place. The first season finale took those stakes away by showing us the worst has already happened to our characters, and from that point forward it has been a series about characters who are immediately in a state of crisis at (almost) all times. While the threat of the Bad Place loomed over our characters, the actual stakes of the show became much more emotionally tied to our protagonists. By the end of season two, Eleanor, Chidi, Tahani, and Jason didn’t just fear being sent to the Bad Place, they feared being separated from each other. Recall at the end of season one how Jason continually celebrated that he got to avoid the Bad Place while two of his friends had to go, and how at the end of season two he willingly agreed to be sent to be eternally tortured if even one of his friends couldn’t go to the Good Place with him. Now we are nearing the end of season three, and while the largest threat ever is looming – the eternal judgment and fate of all people – the closest stakes affecting our characters remain tied to emotion and relationships. 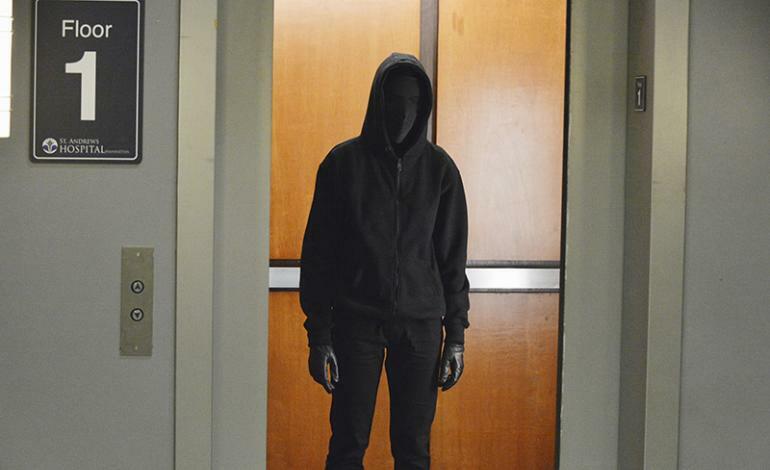 Michael is paralyzed by the fear that if he fails with his experiment his friends will believe that he betrayed them. Threats of retirement, marblization, and eternal torture weren’t as powerful as Shawn’s legitimately horrifying notion that he will torture the Soul Squad with someone that they believe is Michael. 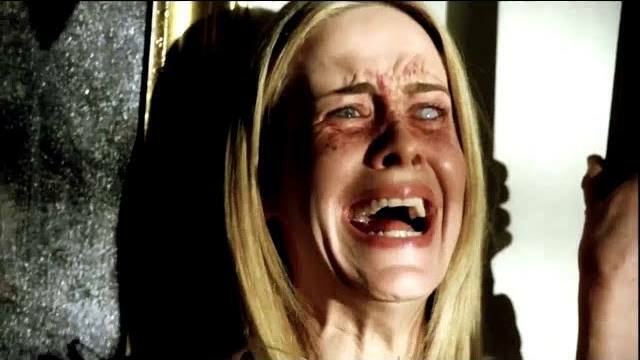 The concept of emotional stakes versus physical ones lines up perfectly with this series considering Michael’s initial torture plan was to emotionally torture his victims instead of physically torturing them. Now he is truly learning how valid and effective this form of torture can be. The ability to learn has also been a major aspect of this series, with our characters learning just by living life. They learn from mistakes, other people, teachers, friends, and inane Jason stories. Even Shawn, the torture master, has learned from Michael. He is now utilizing emotional torture (and also took his idea for bees with penises). Judge Gen also allows herself to learn. She encourages research and keeps her mind open to new ideas by going to Earth. Janet’s entire arc has been about learning more about humans. Derek has learned more every time he was rebooted by Mindy. And they have all put their new knowledge into practice, such as Gen creating a new neighborhood experiment and Janet creating more realistic people. And of course, the humans have learned how to be better, and with their time on Earth, how to make other people better. Now they will be in the new neighborhood putting what they’ve learned to good use to try to save humanity. Honestly, saving humanity is a pretty generic, bland stake. So many stories involve saving humanity. That’s why it is so important to keep those emotional stakes at the forefront, like Michael at the end of this episode. I am interested in seeing where the neighborhood experiment goes, but I’m invested in Michael and his crippling fear of letting his friends down. Outside of those lengthy evaluations, a lot of pieces fell into place this episode. An endgame for the season finally presents itself. We got to see the Interdimensional Hole of Pancakes, which was super trippy as Jason so obliviously pointed out. There was the return of Derek and the Medium Place, giving us the perfect site for the new neighborhood. 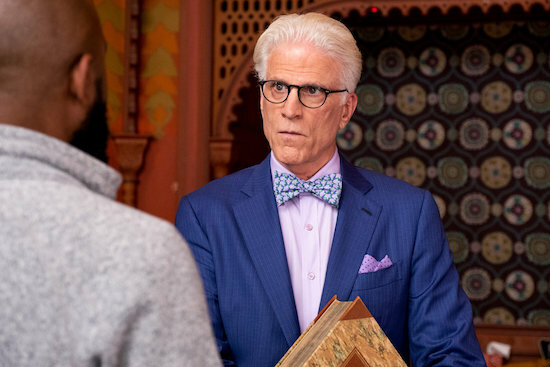 And of course we see the return of what seems to be a similar version of the original “Good Place.” This was a heavy exposition episode, but I felt it threaded its themes of learning and emotional stakes well throughout. I’m excited about the finale and curious where the set up for next season will go. Amongst all of its characterization, heavy plotting, and ethical bends, The Good Place never forgets to be a comedy. The humor has its charm back since returning to the afterlife, and each side character (Judge Gen, Mindy, Derek) continues to stand out. The creative ways the writers torture people, such as Shakespeare being tortured by hearing the plot of the Entourage movie, are always a hoot. And William Jackson Harper is so good at being traumatized. He is so expressive and can make such simple phrases, like “time-knife” seem like biblical omens. How will the new experiment fare? What will the results be? Will Eleanor have to take Michael’s place as “the architect” if he can’t get himself together? I’m looking forward to learning what happens next. Was that Trevor screaming through the blackness in the opening scene? iHop was probably the trippiest place we have seen thus far. I believe Jason’s inane stories have a 100% success rate in inspiring someone into positive action. The bureaucracy continues. Judge Gen could make iHop anything, and she chose a conference room. Chidi saw the time-knife and didn’t like it. I really like that they learned from Simone about repeating the experiment. Maybe she’ll be one of the people brought to the new neighborhood? This episode was a bit dark in places. I know the show is about people who died but it was always fun, with torture devices having funny names or implications. Not only did Judge Gen depressingly find out that the world is both “hot and crowded and cold and lonely,” but Shawn’s idea to torture the humans with a Michael suit is legitimately threatening. Season 3 has won me back at this point, and I can’t wait to see the last episode of the season! We finally land in the Good Place. Sort of. One of the most important aspects of a fictional world is the “rules” within the universe. 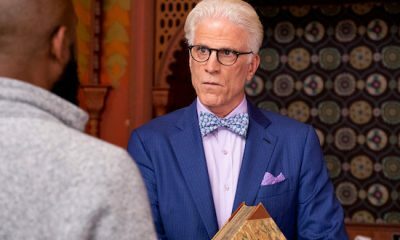 The Good Place has built its afterlife with a (mostly) cohesive and consistent set of rules. These parameters were well established in the first few seasons; it was made very clear what you could and could not do and say in Michael’s neighborhood, and the requirements to get into the real Good Place were steadfast. By the end of season two and throughout season three, we have seen Michael and the gang breaking these rules in an attempt to better the current system. The Good Place Committee in this episode remains absolutely steadfast to all of the rules. I didn’t expect much different, but it did give me a better perspective on an earlier gripe I had with the season regarding the demons’ ability to create a new door to Earth. 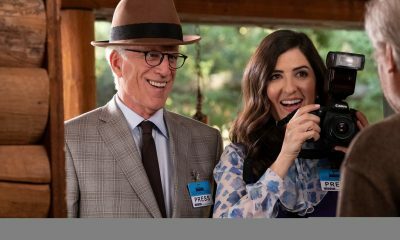 While I still feel that plot point was a little convenient, on a storytelling level it is a perfect contrast to what we see in the Good Place. The fact that the demons will brazenly disregard the rules, such as “one door to Earth,” greater highlights the fact that the committee won’t even consider breaking any rule, and along with Michael’s revelation at the end of the episode, gives us an interesting look at the show as a whole. After all, the committee, and all of the Good Place, knows that humans are tortured for eternity forever in the Bad Place. This has been clearly established and agreed upon, and no one objects to it. This means that by torturing “bad” humans, the demons are following the rules. Which, according to the system in place, makes it totally fine. What I find interesting is that when the demons don’t get to torture their subjects (Eleanor, Chidi, Tahani, and Jason), they are willing to break the current rules to complete their overall goal. They don’t let the system define their purpose, which, in my opinion, actually gives them a sense of respectability that the Good Place committee has not earned. What does being polite, showering one with compliments, and sending bottles of booze back and forth in thanks mean if you are not willing to take action to defend what you believe in? The demons disregard the rules when they don’t get to torture humans, but the committee doesn’t bat an eye when they don’t get to give anyone eternal happiness. They stand by the rules, but how does blindly following the rules allow for one to recognize when they might be wrong or counterproductive? Michael is a demon reformed; someone who now wants to do good and was raised in a place where doing what you needed to was more important than following the rules. Combine this with his character and personality, always a man looking for a better way and pushing the envelope, and he is the perfect catalyst to change the system. Go Michael! Admittedly, the rest of the team has less to do in this episode, though it’s still entertaining. I particularly liked Chidi and Eleanor’s date. I’ve felt this version of them has lacked many of those “couple making” moments, and their declared love for each other feels a bit quick to me, but subplots like this help sell me on the idea. The way Chidi handles Eleanor’s breakdown is kind and particular to her. I like the role reversal these two have had since season two, where Eleanor would be the one to talk Chidi down when he was losing it. They really do know each other well and seem genuinely happy when together like this. 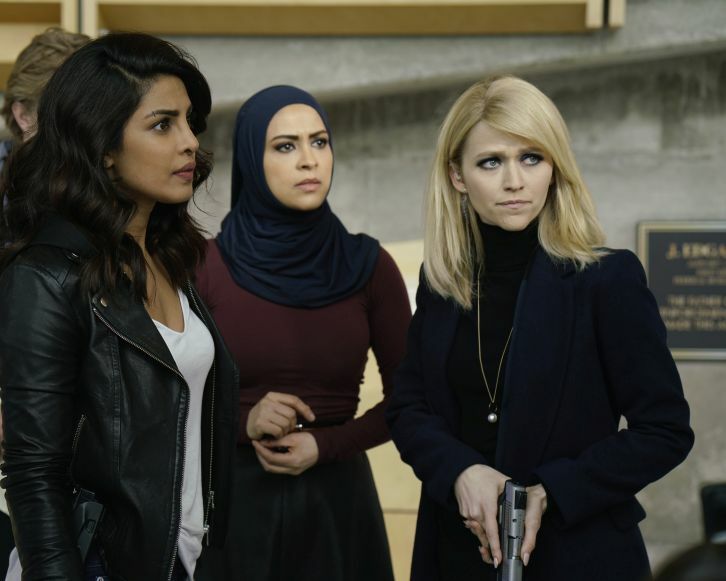 Tahani tries to help Jason and Janet sort out their feelings, and each attempt leads to unintentionally worse and worse results. “Death Did Us Part” was my favorite, and I love how Tahani can make anything seem classy and like an event. Janet has been becoming more and more human, and her stating she was embarrassed may have been her most casually human moment of all so far. Gwendolyn was fun, and maybe it’s just me, but something about her cheeriness and disbelief of anything less than good was a bit unsettling. It almost felt like she was brainwashed. The rest of the committee seemed more apathetic than good, and it was no surprise they were willing to take over a thousand years to start the process of an investigation. If the rules are being followed, they don’t care – it must be right, it must be good. But as we all know, that isn’t the case. Sometimes rules are outgrown by society or flat out wrong. As Michael discovers at the end of the episode, the unintended consequences of our actions matter, including following the rules. We, as people living together on Earth, cannot afford to be like the Good Place committee. We can’t just assume things are fine under the current rule set, we can’t disregard anyone who breaks the rules, and we cannot be apathetic to the consequences of our actions. It is getting harder and harder to be good, but I hope we don’t take 1400 years to realize our effects on the world, and if this is the message that this show is intending to make, it has my attention. Maybe it’s time to start rethinking the actions I take in the name of good. Janet blowing up the door was the perfect amount of unnecessary. Warm pretzels absolutely smell like absolute moral truth. Common knowledge. Jason continues to be so kind, feeling bad that he read Janet’s diary. I love the little touches like everything Eleanor tries to pick the lock with turning to glitter. The show missed that while it was on Earth. The one member of the committee called demons “disgusting monsters.” This seemed harsh for them, but perfectly fit in with their afterlife views. I loved the complimenting committee member. Everyone should have that guy greet them before they go to work in the morning. I find it ironic that seemingly Good = Rule follower and Bad = Rule breaker, yet the humans aren’t allowed to know the rules at all. And when they do figure out the rules, nothing they do counts towards good. I hope we get to see the full Good Place one day. On our way to IHOP!!! I’m enjoying the wind down of the season, and if it keeps up this momentum, I think we will be in for a spectacular season four.